The iTunes festival has to be one of the best festivals ever created (in our eyes anyway). It allows members of the public to attend a small and intimate gig from an internationally recognised performer for free. There is no other festival in the world quite like this and we are extremely proud that it takes place in our capital city, London. Last week we were lucky enough to attend the Jack Johnson concert thanks to Fiji Water who provided the water for the performers and crew. Supported by Canadian band, Bahamas, Jack Johnson pulled in a crowd of chilled out Londoners, filling Camden's Roundhouse to bursting. The idea behind the festival is that artists are able to perform material off their latest record, promoting the fact that the album can be found on iTunes. Bahamas opened the show, treating the audience to a breezy 45 minute, acoustic guitar set and later joined Jack on stage for a couple more songs. The set included the hit song, 'Lost in the Light' off the 2012 Bahamas album, Barchords which set the tone for the gig with lyrics about love, life and being free, put against a backdrop of harmonious melodies and gentle guitar playing. To reinforce Bahamas' friendly approach to performing, mid way through the performance front man, Afie Jurvanen, stopped his set to get members of the audience to email him in order to receive free tracks from the album. Although Apple may not be too pleased with this act of kindness, it definitely made the performance even more memorable. 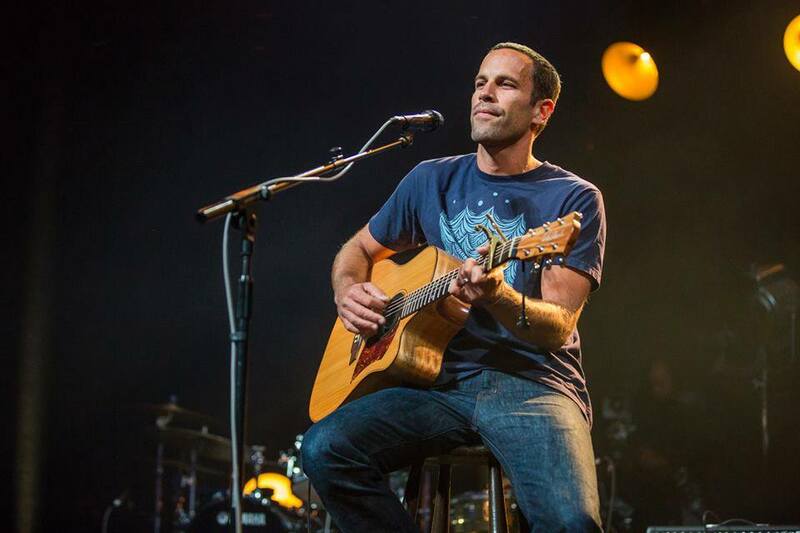 Jack Johnson mixed old and new material together, adding touching anecdotes for certain songs such as 'Angel' and 'Shot Reverse Shot, both of which relate to his children. The stage was dressed in a minimal way, with a large background screen showing scenes from the ocean and drawings from the album artwork which alternated with the changing songs. Jack and his band took centre stage, illuminated by a single hanging lamp making it feel as if the audience had been transported to a lounge, thousands of miles away from the hustle and bustle of London life. The upbeat, free spirited sound that Jack Johnson is known for was amplified on his latest album, 'From Here To Now To You' pushing away any winter blues we may be experiencing and filling our minds with dreams of Hawaiian paradise. There were no pretences, barriers or distance at the gig. The audience and Jack Johnson definitely worked together throughout the gig, creating an intense, emotional energy. There were moments when Jack mixed up lyrics, included the audience in the 'in' jokes from the band and moments such as at the beginning of 'Angel' which were so tender that they brought tears to the eyes of everyone at the venue. The evening was a celebration of music, creativity and at the risk of sounding completely cheesy... life. We felt extremely privileged to be invited along - Thank you Fiji Water!